Marvel TV: Who Is Mockingbird? One of the newest and most exciting announcements to come from Jeph Loeb at the Marvel Television panel at this year’s Comic-Con International in San Diego is that there is a series in development for ABC Family based on the Marvel Comics character Mockingbird. 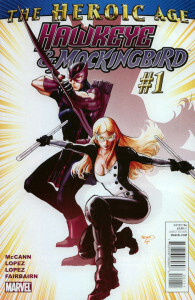 Mockingbird has never had a comic book series that was completely her own, but she has appeared as a co-star and a major player in many different series. She first appeared as Barbara “Bobbi” Morse 40 years ago within the pages of Astonishing Tales, a series that, at the time, focused on the character Ka-Zar of the Savage Land. When she was introduced, she even appeared to have a psychic ability, though that was never really picked up beyond her initial appearance. By 1972 she appears in a Man-Thing story that ends up running in Astonishing Tales and it is revealed that she is a research scientist. This scientific background stays with the character even once she becomes a superheroine. She has a fiancee in this story, and it seems the fiancee is a double agent also working for Advanced Idea Mechanics, or A.I.M.. This is the first time there’s a connection mentioned between Bobbi Morse and S.H.I.E.L.D.. Those who know the Marvel movies know very well that S.H.I.E.L.D. is the Marvel Universe spy organization headed by Nick Fury. Soon Bobbi becomes a regular character in the Ka-Zar feature, and is described as a “female biologist” who also works for S.H.I.E.L.D.. Once Shanna the She-Devil becomes a love interest for Ka-Zar, Bobbi Morse’s role in the series seemed to disappear. Writer Mike Friedrich used Bobbi Morse next in the black and white Marvel magazine Marvel Super Action and gave her a costumed identity for the first time. In that story, Morse left S.H.I.E.L.D. and took on the costumed identity of The Huntress. As things stood, this 1976 magazine was the only appearance of this Huntress. Because Marvel Super Action #1 has an early appearance by The Punisher, it’s very expensive to get a hold of. It’s a pretty cool costume, when drawn well, but as we said, it never really appeared again. It would be almost five years before Bobbi Morse appeared again, and it would be in the identity that fans are most familiar with her. Writer and editor Mark Gruenwald conceived of an African-American character named Mockingbird to fight Spider-Woman. The idea and the character were not used. 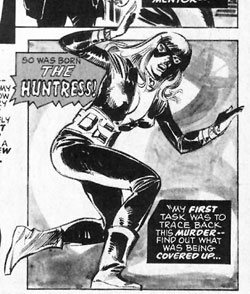 At the same time, writer Steven Grant wanted to do something with the Bobbi Morse character, but as DC Comics had a major character called The Huntress by this point, she needed a new name… so the ideas were merged. 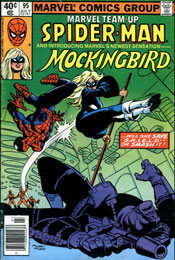 Bobbi Morse made her first appearance as Mockingbird in Marvel Team-Up #95 starring Spider-Man. 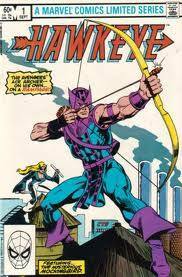 Mockingbird became a player in the Marvel Universe in the Hawkeye comic book miniseries of 1983, which was written and drawn by Gruenwald. Perhaps a play on the Green Arrow/Black Canary trope of an archer and his “bird,” the characters were paired together and ended up eloping by series’ end. Mockingbird was now the wife of the popular Avenger, and soon found herself in the Avengers spin-off comic book, The West Coast Avengers. 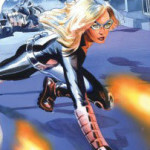 Most of Mockingbird’s appearances were with the Avengers’ West Coast team, though a story where she killed the Phantom Rider after he drugged and raped her led to some conflict between herself and Hawkeye. They broke apart, and although Mockingbird did eventually return to the West Coast comic, even leaving with Hawkeye to train the Great Lakes Avengers, their relationship was soured. In Avengers West Coast issue #100, Mockingbird was killed by a ball of hellfire in an issue where the West Cost Avengers battled Mephisto. In a story possibly too convoluted to describe here, it wasn’t Mockingbird who died there. About a year earlier, unknown to readers and surely unknown to the creators of the comics at the time, Mockingbird had been replaced by a shape-shifting Skrull. The real Mockingbird resurfaced at the end of Marvel’s Secret Invasion story in 2008. 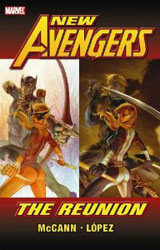 Two series – New Avengers: The Reunion and Hawkeye & Mockingbird – explored how this long absence affected the Hawkeye/Mockingbird relationship. Mockingbird became involved with a counter-terrorism agency called the WCA which doubled with her Avengers duties. Even more recently, Mockingbird has been a member of the New Avengers and was shot during a mission. Nick Fury gives her a serum that is a mixture of the Super-Soldier Serum that created Captain America and the Infinity Formula that has allowed Fury to live to be so old. The effects of this on Bobbi Morse are not yet totally known. And now, Mockingbird might be headed to TV. It’s far from a “sure thing” but the concept is being pitched to ABC Family. Several have criticized the notion that Mockingbird is “Alias meets Felicity” when Alias itself was “Felicity as a spy.” Our response? Bobbi Morse was always a bit of a science geek, which is something else that was revealed by Loeb. The college-aged part also makes sense, since that is the target audience for ABC Family and there’s nothing to say that Bobbi wasn’t around 20 when we first saw her in the comics. Hopefully, the “spy organization” is S.H.I.E.L.D. and there can be some tie to the greater Marvel Universe seen in the movies, though it’s also possible that it won’t be. Mockingbird isn’t the most well-known of characters, but then again, neither was Blade when he inspired three movies and a TV series. With a good writer – possibly even a female? – Mockingbird could be a TV character that female audiences could want to be and male audiences could want to watch kicking tail.